I have worked to ensure successful product launches in top Silicon Valley firms for over 20 years. I love working on project assessments, Analytics Project either as a coach to help teams kick-off or as a program manager. I work with leaders to ensure project outcomes are aligned with strategic needs. Rosemary received her BS from Oregon State University and her MBA from Santa Clara University. She is an Instructor at UC Berkeley Extension in the Project Management curriculum. Rosemary is active in the PMI community as a Project Management Professional (PMP) and a founding volunteer member and Knowledge Management Lead in the Project Management Institute (PMI®) Organizational Project Management Community of Practice. 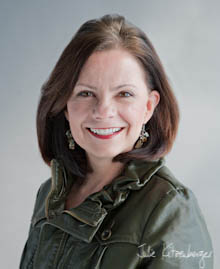 She is the editor of Organizational Project Management, coauthor of Unearthing Business Requirements and a contributor to the Institute of Business Analysis Body of Knowledge http://www.iiba.org.